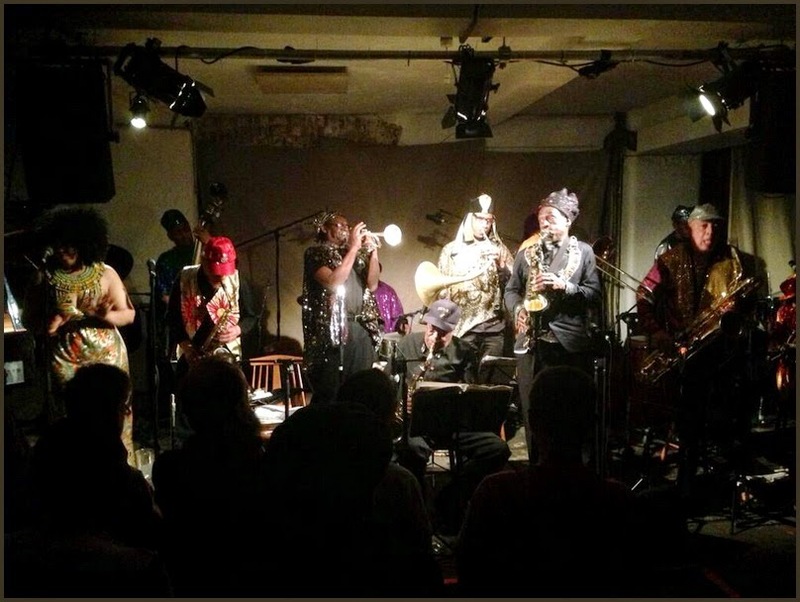 E' tornata da ieri a invadere gioiosamente gli spazi del Cafe Oto londinese l'Arkestra di Sun Ra guidata da Marshall Allen, con residenza artistica e concerti a raffica pomeriggio e sera fino a domani: "The space-age big band is kept alive by altoist Marshall Allen, a cohort of Afrofuturist avant-jazz genius Sun Ra for several decades. Don't expect the psychedelic Moogish world of Space Is The Place – the current Arkestra line-up is more like a traditional big band, but still packs a freaky punch. The Arkestra are currently celebrating the centenary of Sun Ra's birth as well as Allen's ninetieth birthday."